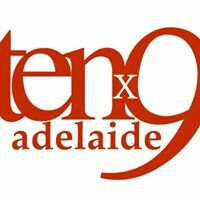 You are currently browsing the tag archive for the ‘Tenx9Adelaide’ tag. a comedian shared the time he accepted the gig of warming up the QandA crowd before Julia Gillard came on. You’ll note that’s only eight; one storyteller pulled out, which resulted in an open mic session where two audience members took the stage to share their two minutes stories – one, having lost both her underwear and swimwear, was invited to climb a coconut tree on a tour (but had to decline being knickerless in a dress), while another told of his amazement at being asked a rather inappropriate question by the media during a press conference about a new hospital. It was engaging stuff; their stories drew laughs and intakes of breath from the crowd. Some read from notes, others without, but all were perfectly timed (else a horn is sounded!). The next event is on Thursday 19 July with the theme of ‘Because of her…’ and I’d recommend a visit, to either listen or to share. Do you have a story to tell?